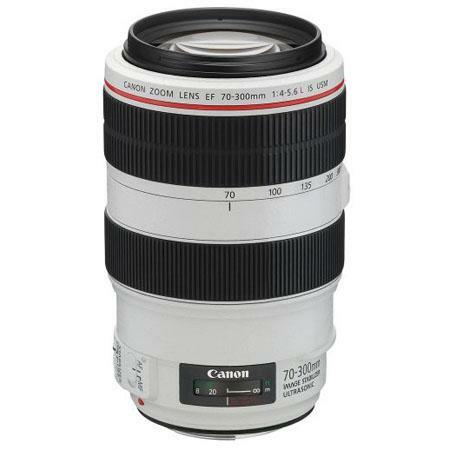 The EF 70-300mm f/4-5.6 L IS USM is usable with all EOS digital SLR cameras from Canon both full frame and APS-C. It is also compatible with APS-H size sensor based cameras as well. Canon has provided ring type USM (Ultra-sonic Motor) technology for silent Auto-focusing. For photographers shooting wildlife with this lens this is a great feature to have. At 300mm it offers full frame users with the range and the stabilization ideal for wild life photography. This L series lenses has been designed keeping in mind the demands of professional photographers working out in the open. Apart from having weather sealed body the lens comes with Fluorine coating to ensure that finger prints and dirt does not stick to it. Canon has provided two UD (Ultra-low Dispersion) elements in the lens which suppresses chromatic aberrations to a great extent. Additionally the focusing elements of the lens are separated from the rest of the optical elements rendering them ‘floating’. It basically means the lens is extremely sharp when focusing from infinity to very close. Chromatic aberrations, which otherwise affect lenses where the rest of the optical elements move along with the focusing group and thus create a curved field do not affect this. The closest focusing distance of the lens is 3.9’ or 1.2 meters and the diagonal angle of view is 34° – 8° 15′. A total of 19 lens elements make up the construction arranged in 12 groups. The external dimensions of the lens are 3.5” x 5.6” and it weighs 1050 grams. The filter size specification is 67mm. 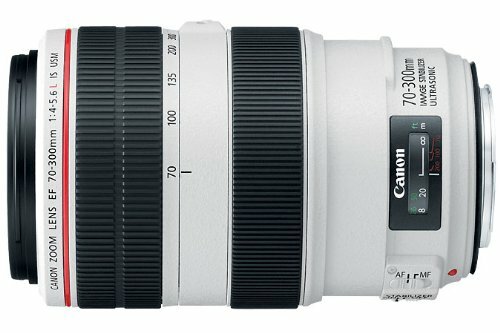 As part of the L-series range, the EF 70-300mm f/4-5.6L IS USM is supplied with a lens hood ET-73B and lens case LP1424 as standard. In addition, an optional, dedicated tripod mount C (WII) can be directly attached to the lens. This allows it to be stabilised easily and the camera switched quickly from vertical to horizontal and back, without having to reposition the camera body on the tripod, perfect for fast-paced action with a variety of subjects.